Here are some common questions about Ghana Wedding Market. What is Ghana Wedding Market? Ghana Wedding Market is an online shopping platform which feature listings for thousands of weddings and event-related businesses throughout Ghana and the world. In short chale if you need anything for your wedding, just log on. How do I create an account (user)? To be able to make purchases on GWM, you’d need a user account. On the navigation menu at the top, select ‘My account’. A page will be opened and you can now fill the form to become a user. How do I create an account (vendor)? To be able to sell products or services on GWM, you will need a vendor account. But to become a vendor, you first have to purchase a Service Provider package. Check out the packages we have on the ‘Service Provider Registration’ link at the bottom section of each page. After buying a package, proceed to the navigation menu at the top, select ‘My account’. A page will be opened and you can now fill the form and check ‘apply to become a vendor’. How do I upgrade my account to a vendor? 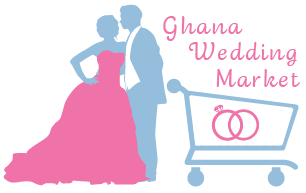 To upgrade from a user account to a vendor account, please contact Ghana Wedding Market using our contact form. You can also call or send us an email. Scroll down this page for our contact details. To make a purchase on the Wedding Shop, you first need to have a user account. Follow the steps in the previous section to create one. There is also a cart, like the one at the Mall, for adding multiple items before checking out and purchasing. 1. Dial *170# select Option 10, My Wallet. 2. Select Option 3 for My Approvals. 5. Select Option 1 YES to approve the transaction or Option 2 NO to reject the transaction. Some vendors on GWM would prefer to be contacted directly for prices of their goods and services. Also, some services can only be priced based on your requirements. In such a case, kindly navigate to the ‘Seller’s Info’ section- beneath the product page and next to reviews, for contact details of the vendor. Please don’t forget to bargain properly like we all do with taxi drivers. How do I get items after purchase? There is an optional delivery service on behalf of all GWM vendors. Otherwise, vendors would handle deliveries themselves. Before paying for a purchase, you must fill out the ‘Billing details’ and ‘Additional information’ sections. You will receive a call if delivery is applicable and is ready to be done. Deliveries could take between 20 minutes and 72 hours depending on your location. Further details would be discussed after payment. Payments for goods and services on GWM are usually done online. However, per agreements with some particular vendors, you can pay on delivery. It would be indicated on such vendors’ shops. Also, delivery costs vary per location. So if you live in Tamale then sorry in advance. These costs would be communicated to you before deliveries are done. GWM ships products to users outside Ghana. For shipping, kindly fill out the ‘Billing Details’ form and add “For Shipping outside Ghana” in your Additional Information area. You would be contacted shortly after for more details. How do I get the receipts for my orders? Receipts for every purchase are recorded and kept in the ‘Orders’ section of when you login into your account. Ghana Wedding Market also emails you a virtual receipt whenever you make an order/purchase. Downloadable versions of your invoices are also generated when making a purchase online. The file is not that big so you don’t worry about your phone’s memory. On the GWM platform, proper records of orders/purchases are kept. Check the dashboard for the option ‘orders’. There you would find a complete table of all orders you have made so far. When products have been delivered, it would be indicated in the records. For vendors, a notification would be sent to your dashboard anytime an order/purchase is made from your shop. So be woke like you do for mobile money alerts! Currently, purchases made CANNOT be reversed or cancelled online. Please we are sorry o don’t be angry. However, you can contact Ghana Wedding Market for an agreement to be reached on a refund. We don’t have stiff necks, we are down to earth and we like gari and beans too, so please note that vendors on GWM determine their own return policies just like the rest of the world. Such return policies would be indicated on the vendor’s product page. Buyers are advised to clarify return policy issues such as cost of returns, who bears the cost of returns, timelines for returns, etc, before purchasing any item. After booking to plan an event, what next? You can book WeLoveGhanaWeddings to plan your wedding, engagement, birthday parties, bachelorette, pre engagement, pre birthday, pre honeymoon, pre dating, in fact everything some. Do this on the ‘Event Planning‘ page. After filling the form, GWM would contact you for more details. As a vendor, GWM has to approve your product before it is published on the Wedding Shop. Review and approval takes approximately 24 hours. GWM has strict quality and aesthetic standards for posting products on the platform and we reserve the right to approve or disapprove product(s) that do not meet such standards. No ‘Azonto’ pictures please, quality pictures and products sell faster! So as the saying goes, Procrastination is the thief of time and time is money! Vendors are advised to renew their membership subscriptions at least 10 weekdays before expiration. The registration and verification process can take up to 10 weekdays and we would rather avoid down times to vendors. No dull things, look sharp! The Service Provider Registration section gives information on what vendor sign-up packages we have available. For the Faith package, see Ghana Wedding Market ‘in chambers’ for the price. Please note that before you can be approved as a vendor, you have to buy a service provider package first. How do I leave a comment or suggestion? Ghana Wedding Market is open to suggestions and is very responsive to them. We are also free on weekends, so you can invite us to your wedding for jollof. To leave a comment or suggestion, kindly contact Ghana Wedding Market via email or text message. Our contact details can be found at the bottom section of each page.